Engaged users. It’s best to find people who are already engaged and happy with your app and are likely to refer you to others. If there is some kind of incentive involved, then it’s best to provide the referral option when the user is most inclined to want to take advantage of this incentive. 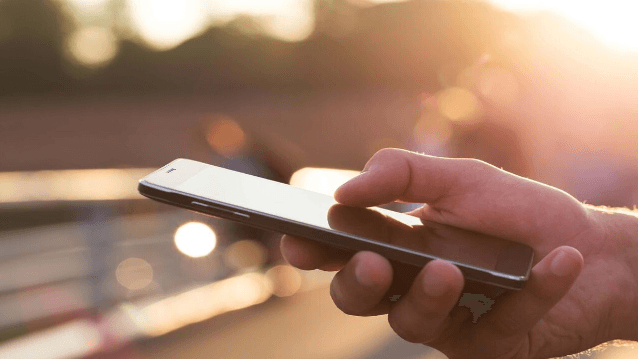 Other options are to prompt the user after a certain amount of time in the app that indicates they are highly engaged, or at a time where they would want to engage with their friends. You can optimize the effectiveness of the visual presentation of the message by A/B testing the copy in the in-app message. If offering an incentive, you should test the incentive to see what level of incentive is enough to incite referrals and return a positive return on investment (ROI). It’s also good to test the timing of the referral offer to make sure you are hitting users when they need it most. 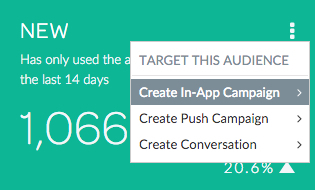 Engaged users: On the User Lifecycle dashboard, in the top right corner of the Engaged user lifecycle card, click the menu and select Create In-App Campaign. 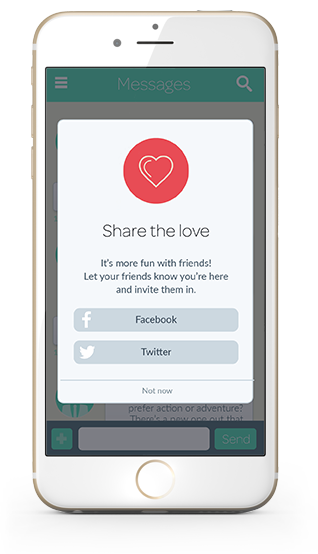 Send the in-app message when a user needs access to premium features (if you’re offering a month of premium) or when the user has had a ‘happy moment’ in the app and is more willing to share with their friends. If you are a freemium app, offer 10 days access to the premium version of the app for each referral. If you can make in-app purchases, offer a $10 discount to the referrer and referee.